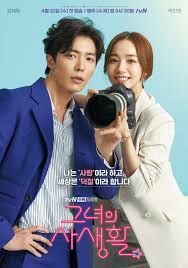 Anyways, I decided to hit up Taiwanese drama: The Perfect Match, and do a series summary >.< This drama took extremely long to air, and finally finished airing on July 28th. The series was originally intended to have only 16, but for some reason was extended to 22. Hellloooooo! Agent 1106 Kappy reporting to recapping duty. We go from one extreme to another with our double premiere episodes on Monday, from the depths of inhumanity to the glimpses and scattered pieces of hope and kindness. Strong performances all around, all the people I love playing all sorts of shady characters that I will come to love passionately and dislike with a raging pitchfork, praying for their deaths. Wait, am I too early? Guess what I did on my snow day off! Lol. I can’t wait to bite down into this historical romance piece. I thought I would be confused with all the names but I think I did well or maybe the show did well in introducing and letting the characters make an impression. But do double check for me as history isn’t my best forte! The first episode of Stand By Me (在一起，就好) basically boils down to battles between a shrewd producer vs. an even more manipulative general manager. Everyone else are just collateral damage. Sorry. Foot soldiers in their war. But it seems their war has nothing to do with making good TV and everything to do with with a decades-old misreported news on one of the most devastating earthquake to hit Taiwan. And our rookie director may be the root of their animosity, even if they don’t know it yet.